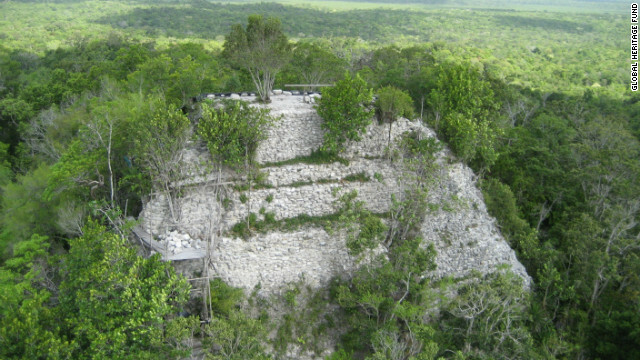 La Danta pyramid, at El Mirador in Guatemala, is one of the sites which the Global Heritage Fund is fighting to protect. The year 2012 is a significant one in the Maya calendar. The ancient long count calendar of the Maya, a Mesoamerican civilization that flourished across Central America from 2000 BC to the time of the Spanish Conquistadores, states that on the 12th December, 2012, the sun will be aligned with the center of the Milky Way for the first time in approximately 26,000 years. And 21 December, 2012, is said to mark the end of the 13th Maya Calendar, a 144,000-day cycle or "b'ak'tun" since the mythical Maya day of creation 5,200 years ago.